August 2001 - August 2002. 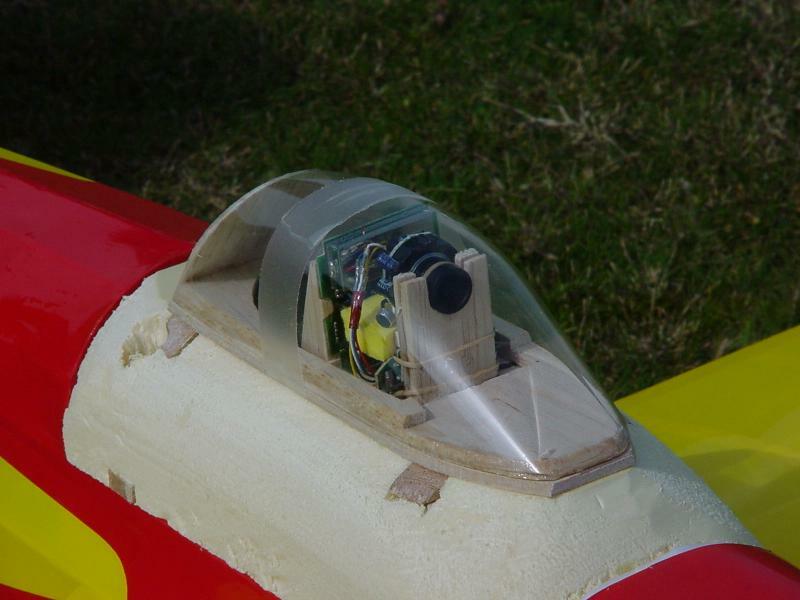 The Minicam is a low-cost, easy to build, video camera with an integrated transmitter that can be mounted on any model airplane. It can be built for less than 90 US$/Euros. 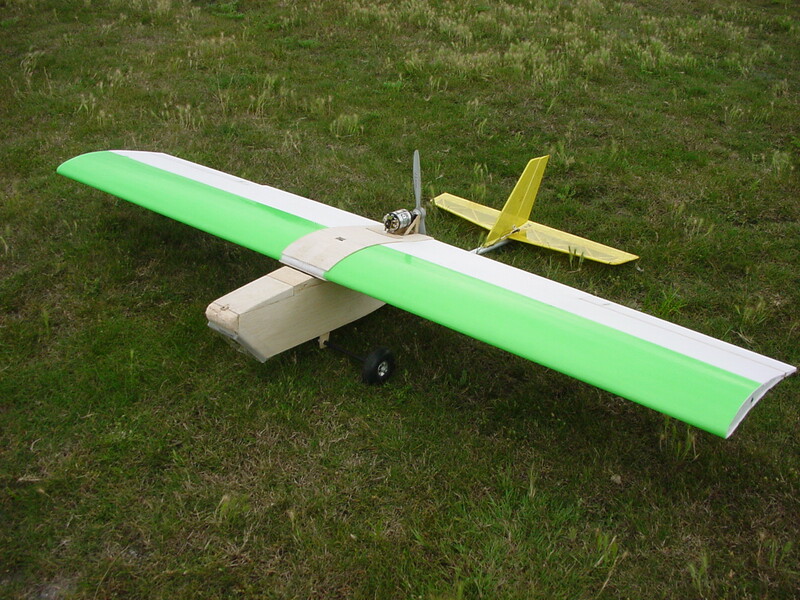 It weighs about 50 grams and can be mounted on small electric-powered radio-controlled airplanes. 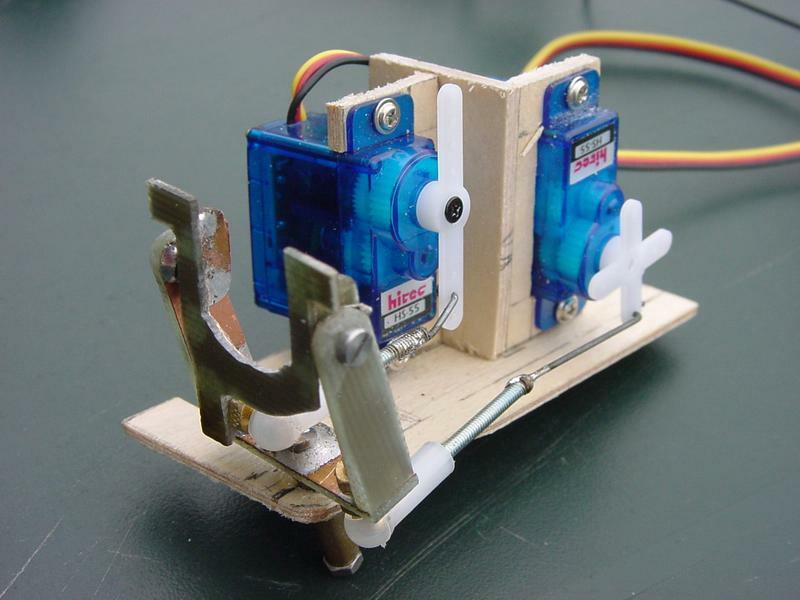 The idea is to take apart the plastic casings and extract the electronics (to save weight). To do this, pry open the camera casing, and the base (where the trasmitter is located). Then, cut the cable that connects the camera module to the transmitter, and slide it out of the casing. The cable must now be soldered back. This presents no difficulty since the wires are color coded. The battery power supply casing must now be taken apart to extract the 6v to 18v DC-DC voltage converter. Using this converter will let you power the camera with a regular 4 cell battery pack, rather than with two 9v batteries in series. The converter output must be soldered to the power supply input of the transmitter. 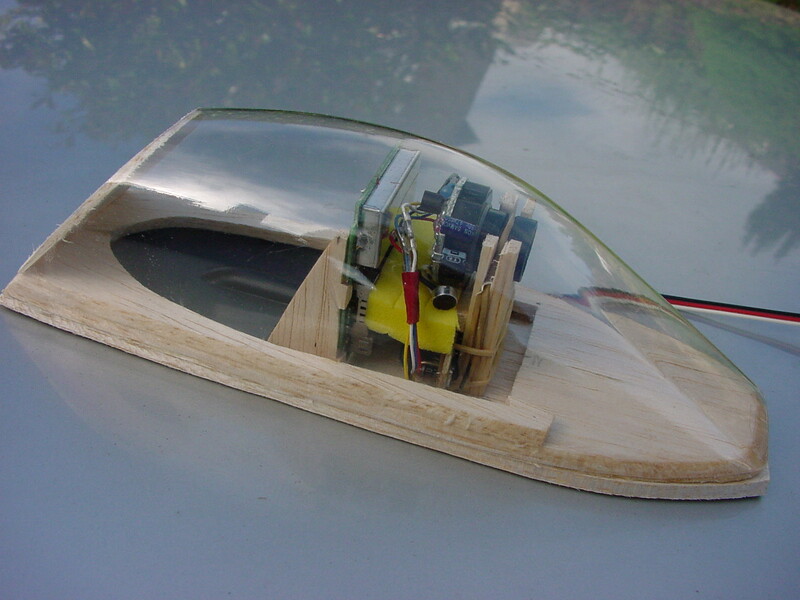 Once the electronics has been extracted, a simple "cockpit" can be built to house it. An example is shown here. This uses a standard "P-51"-type cockpit that has been truncated in the back to save space. 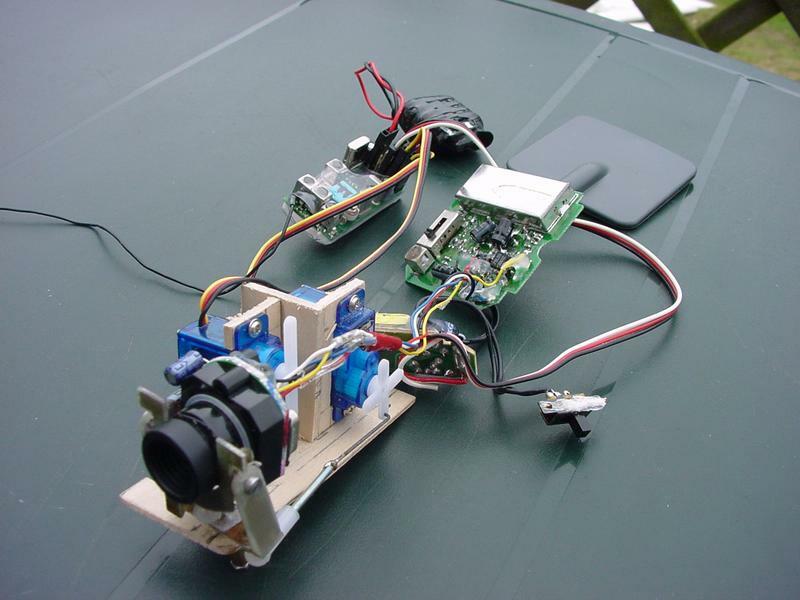 The power supply is mounted underneath the camera module, and the transmitter is mounted vertically behind the camera module. The camera is held by the objective with a rubber band, The rest is held in place with the yellow foam pad. 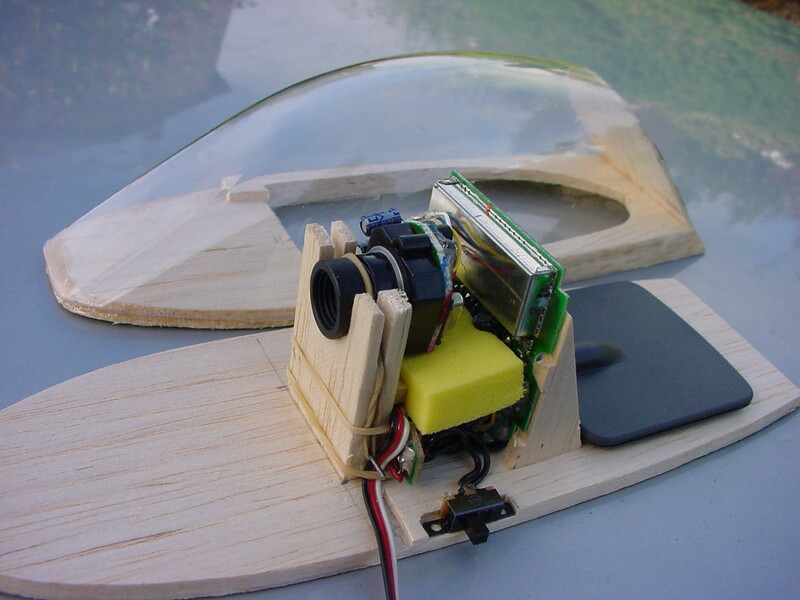 In the final version of the cockpit, black cardboard was added all around the front of the camera (outside the filed of view) to avoid glare and sun reflections. 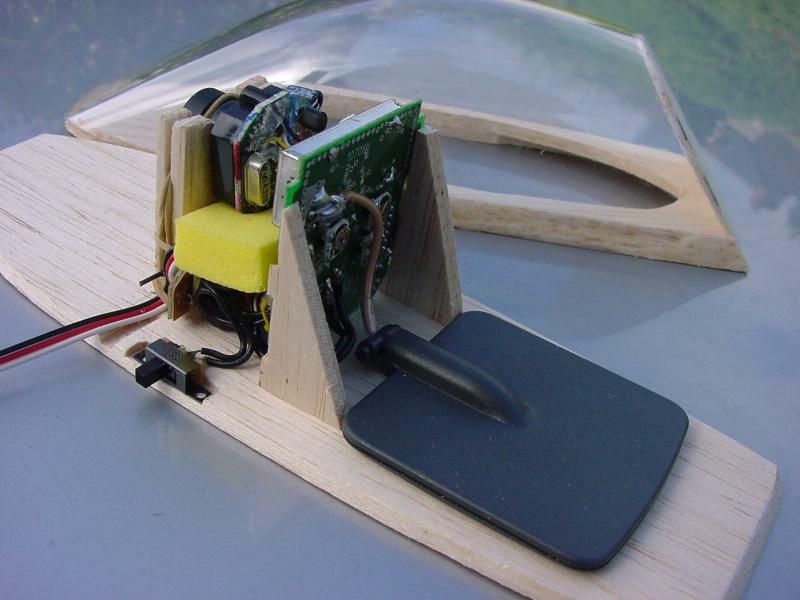 Experiments with the fixed mount showed that steering the plane towards interesting places was quite difficult. A steerable camera controled by a spearate operator with a second radio might help keep interesting subjects within the filed of view. 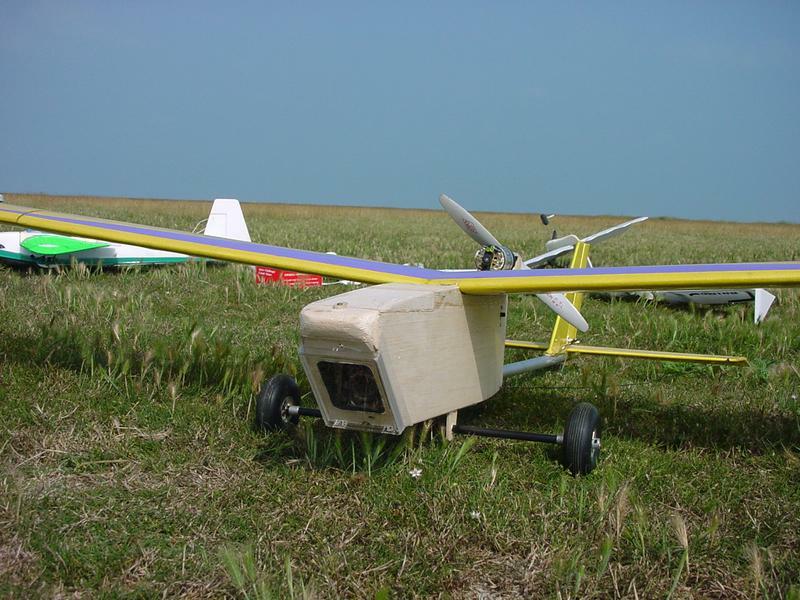 We set out to build a steerable camera module and a specialy designed plane to put it in: Ze Big Brozer. 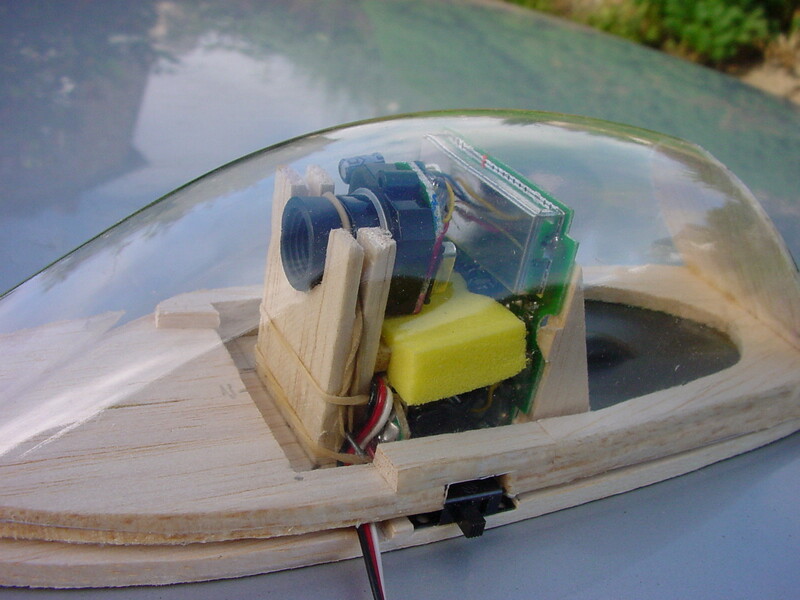 The steerable camera mount is built with pieces of epoxy printed circuit boards soldered together. 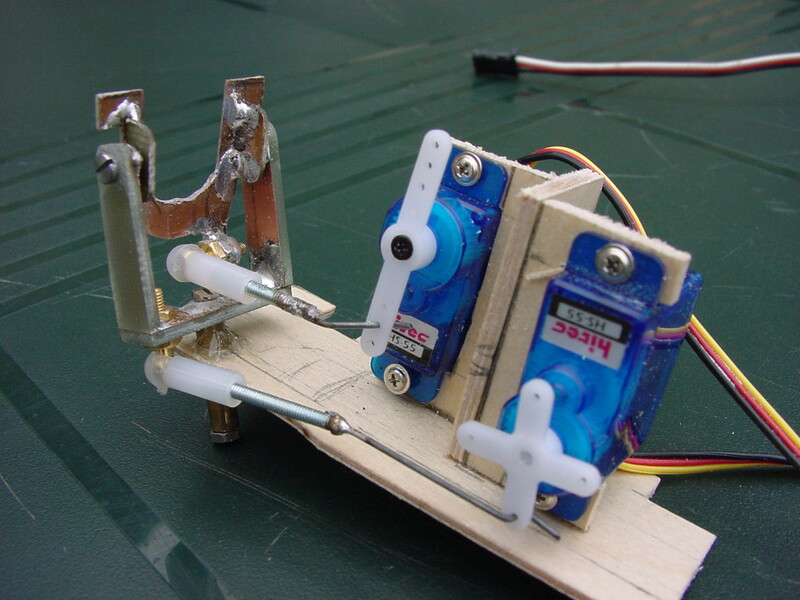 A plywood assembly holds the camera mount and two Hitec HS-55 submicro servos (that are cheap and lightweight). In its rest position, the camera points 20 degrees down. This shows the complete assembly. 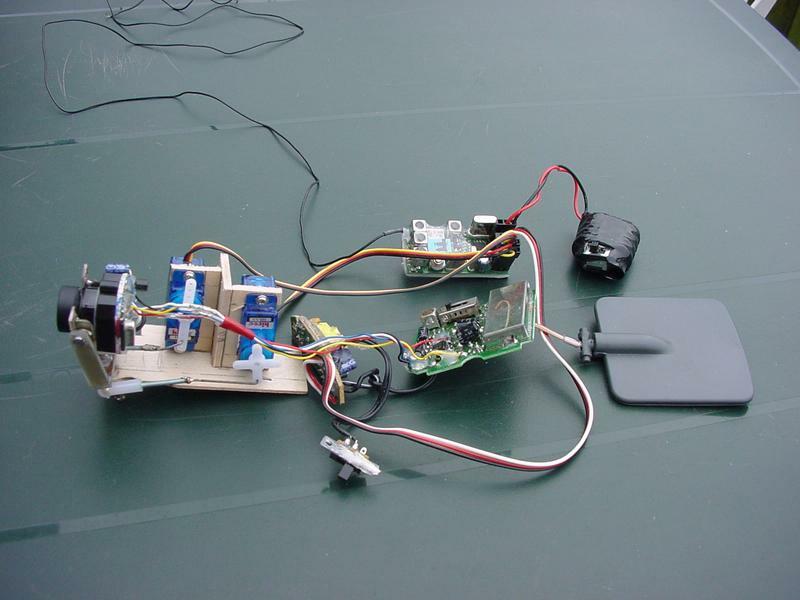 As it turns out, the tiny 150mAh NiMh battery shown on the pictures was not powerful enough to power the video transmitter and the servos at the same time. It was replaced with a standard 600mAh NiCad receiver pack (but I guess a 300mAh NiMh pack would do fine). This shows Jean-Claude Le Cun's "Ze Big Brozer" with the steerable minicam v2.0 mounted in the nose. 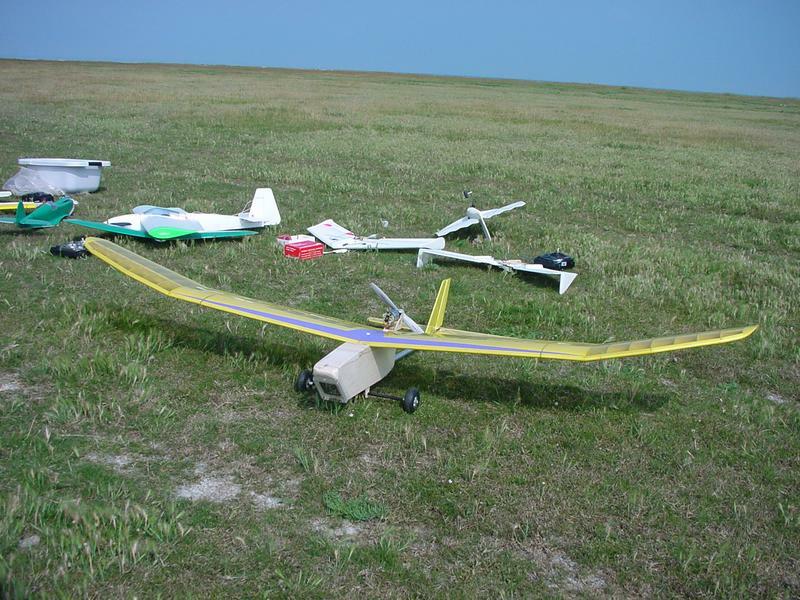 As it turns out, the 2 meter aileron-less wing recycled from a "Spirit" glider was inapropriate: The combination of double dihedral, absence of ailerons, and low center of gravity caused wild oscillations in the roll axis. 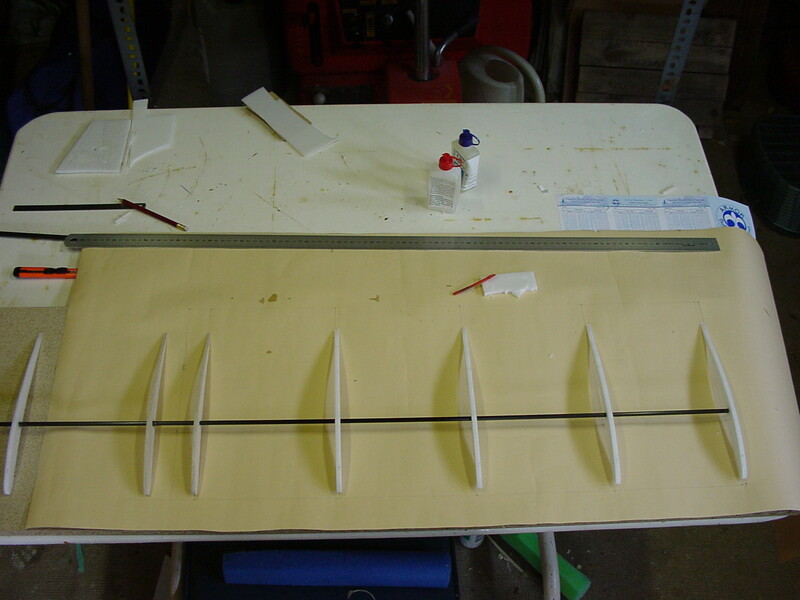 The wing was replaced with a 1.5 meter high-lift wing with ailerons, no dihedral, and a 30 cm chord undercambered airfoil. 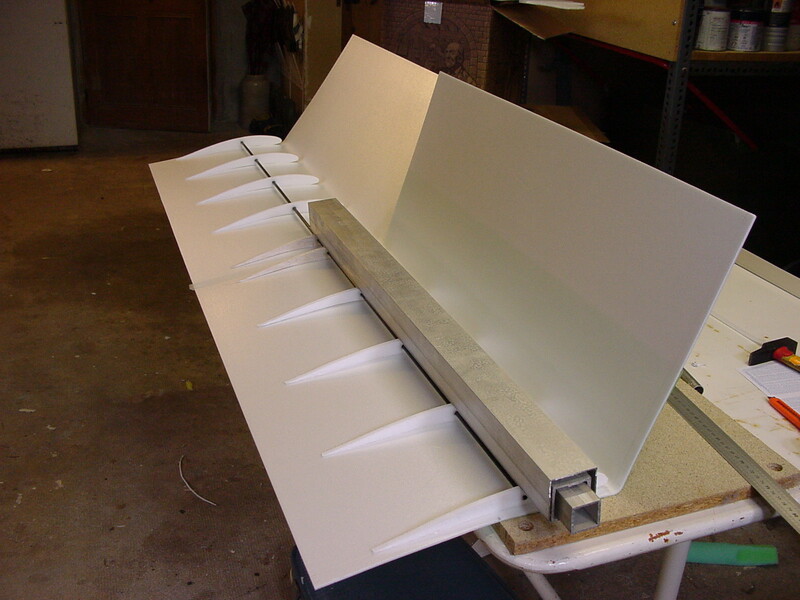 It is built with a sheet of 3mm depron folded over a few ribs. The spar is a 6mm carbon tube (just like the "Horreur"). It has the same surfce area as the Spirit wing, but weighs almost half as much (210g vs 380g). This shows Ze Big Brozer v2.0 with its new wing. As it turns out the tail proved too short (or the vertical fin too small) for the size of the wing. 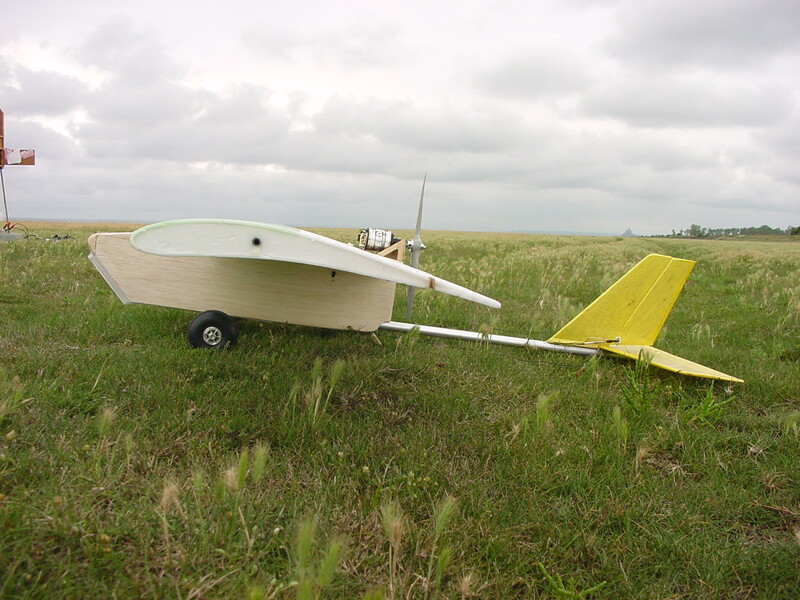 The plane suffered from a large inverse yaw effect. This shows the minicam assembly placed in lieu of the cockpit on top of a foan base. Videos taken from the Space Walker. The streaks on some parts of the video are caused by the propeller. 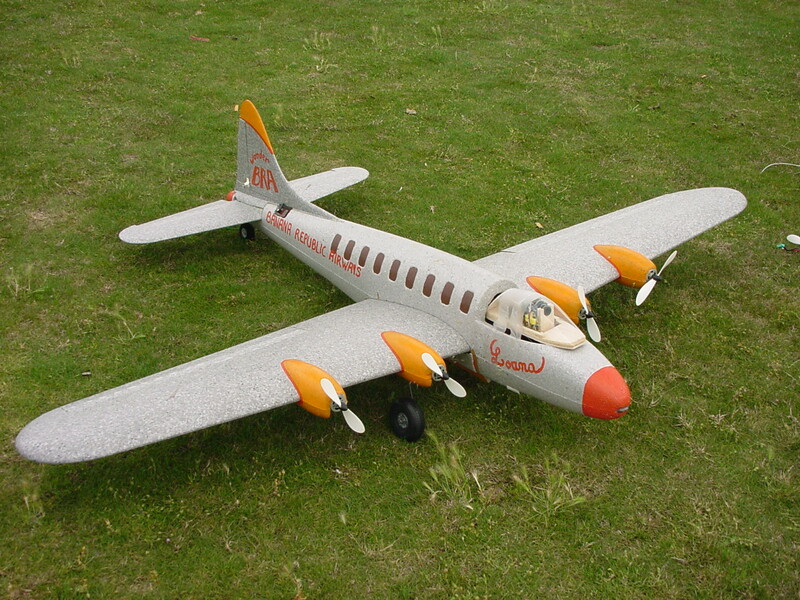 This made us realize that you need a multi-engine plane or a "pusher" prop. OK, we had two problems: the prop is in the way, and there is an awful lot of sun glare. 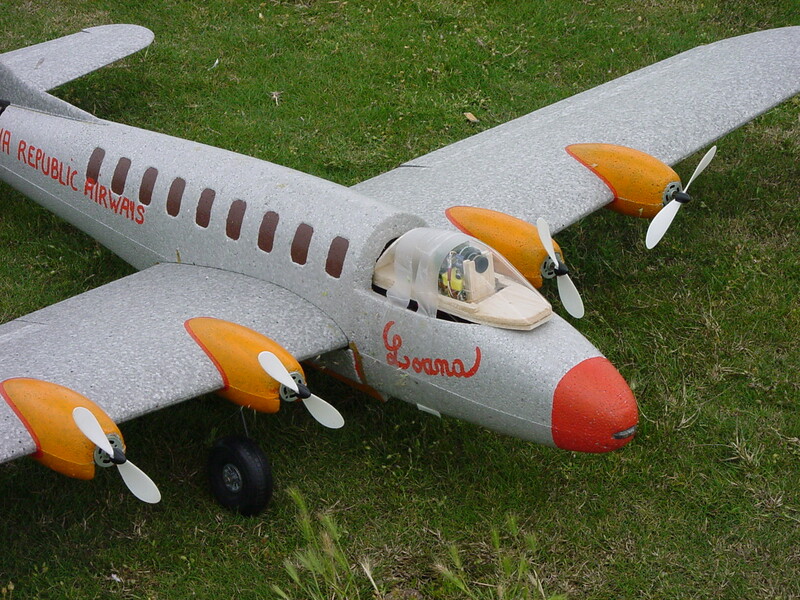 Here is "Loana", proud member of the Banana Republic Airways fleet (also known as "Wonder BRA"). 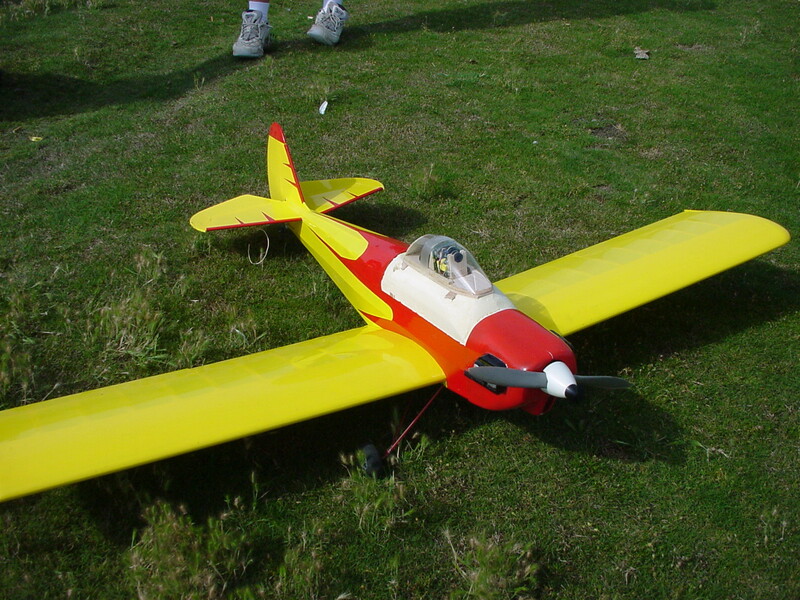 The minicam is crudely attached with Blenderm in lieu of the cockpit. A close up of Loana's private parts, ready to go aloft, despite the fact that I don't like aloft stories (for our non-French friends: this is an inside joke that has to do with a particularly crude reality TV show). Video taken from a Multiplex Twinstar. No more glare: black cardboard was added around the front of the camera. Video taken from a fast Delta with a thermal engine. Hold on to your hats, and watch out for those high-speed low-altitude dives toward the crowd! This video is more heavily edited than the other ones because with the speed of the airplane, the camera was quickly out of range. The transmitter/receiver pair is advertized as having a range of 30 meters, but in practice, the range is much larger when transmitting from the air to the ground (something about the radiation power decreasing like the square of the distance in free space instead of with the cube of the distance at ground level). In any case, the range seems to be around 100m, which is fine when transmitting from a relatively slow airplane. The main problem is that the pad antennae are somewhat directional. 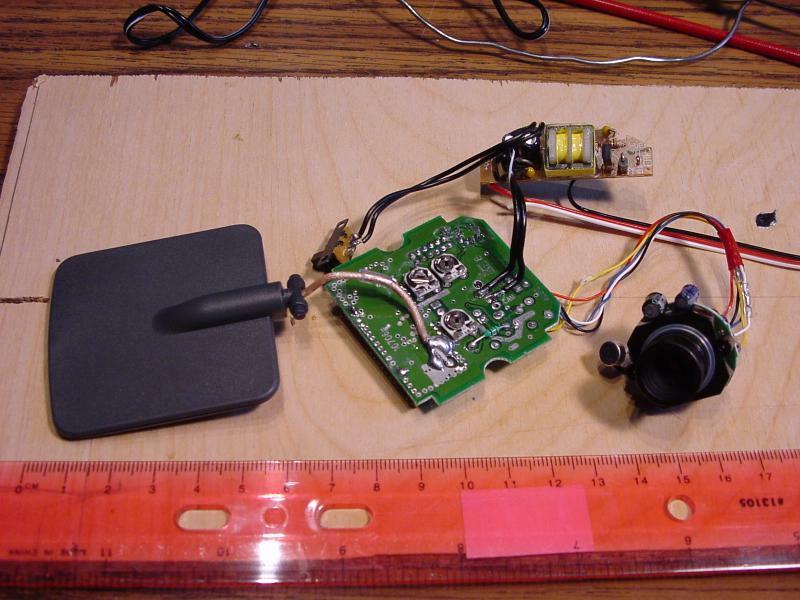 Improving the range should be possible by making the transmitter antenna less directional (a simple wire) and possibly putting a reflector behind the receiver antenna (and aiming it at the plane). To record minicam videos, I plug the minicam receiver composite video output into the composite video input of my Canon ZR20 miniDV camcorder. I then transfer the video digitally to a computer through the camera's Firewire port. using an NTSC camcorder (one that has an analog composite video input, such as the Canon miniDV "Z" series (Z10, Z20, Z30....). This is a perfect solution if you live in America or Japan, but not if you live in a non-NTSC country. using an NTSC or multistandard VCR, but you must have a way of powering it from your car battery. If you have a laptop computer, the simplest solution is probably to buy a video grabbing device (with analog composite video input and USB or Firewire output) and plug into your laptop. Dazzle, Hauppauge, and Pinnacle sell those widget in the US and Europe for less than 100 US$/Euros. Most of these can accept NTSC and PAL because they are built around multi-standard chipsets (but check the manual in advance to make sure).